The Future for a Green Eynsham - Come and join us for Green TEA’s Annual Festival. Despite a difficult growing year we hope to have lots of apples to juice and give away... and do bring your own apples for expert identification. New themes include repair rather than waste; and electric vehicles. Everything is for all ages, and all free! 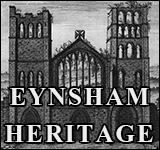 The theme of The Future of Eynsham reflects our desire to engage with the challenges and opportunities for our much loved village. Let’s ensure that whatever development happens in Eynsham we fight for the highest possible eco standards in new housing, for locally owned renewable energy and opportunities to grow, harvest and enjoy the green spaces. Do come and share your ideas with us at the Festival.